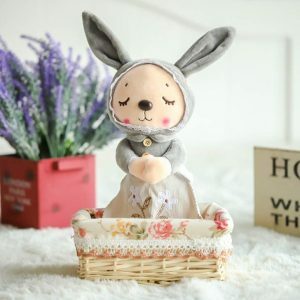 FEATURE Electric embroidery eyes and mouth, small leather nose, delicate and lovely facial features, like a pair of shy and lovely couples. 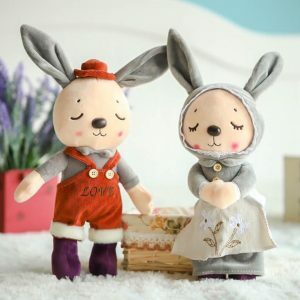 Both rabbits are wearing cloth clothes, or lovers, oh, cute. The fabric is comfortable, soft and skin-friendly, and non-irritating. 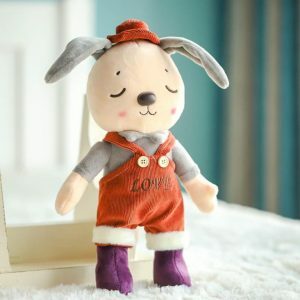 The three-dimensional PP cotton is filled, full of three-dimensional, more vivid image.